The Specialized Enduro Grips were created to take on the rigors of all mountain and enduro riding. They pair a non-slip texture with thick degree of padding to allow for enhanced shock absorption and lasting comfort. 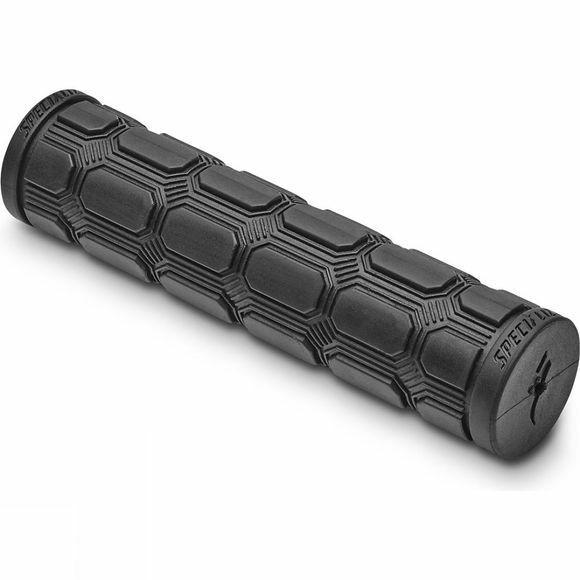 A dual-density compound amplifies these characteristics while the inner core is thicker than your average grip and the outer part has a softer density to better absorb vibrations. And to put the "grip" into these grips, Specialized also gave them a textured pattern for no-slip performance on the trail. Put it all together, and you're looking at grips that are going to leave your hands comfortable and fresh over your whole ride.